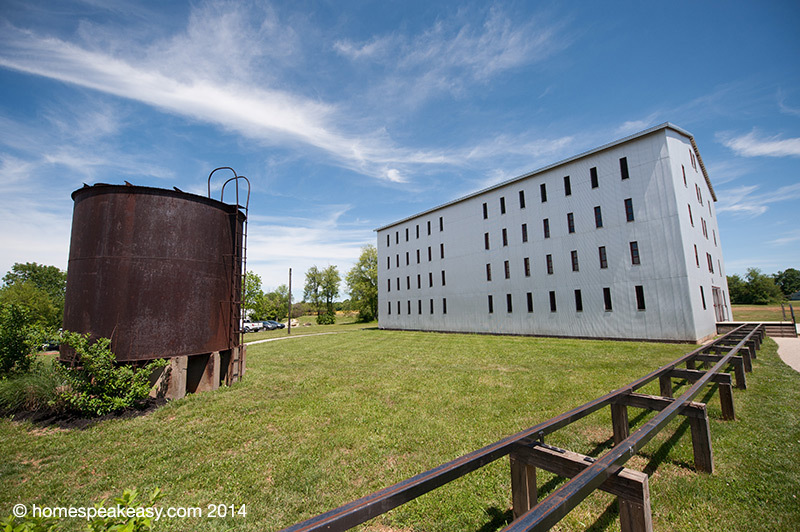 Next up, and just down the road from Heaven Hill was one I’d been really looking forward to: Willett Distillery. 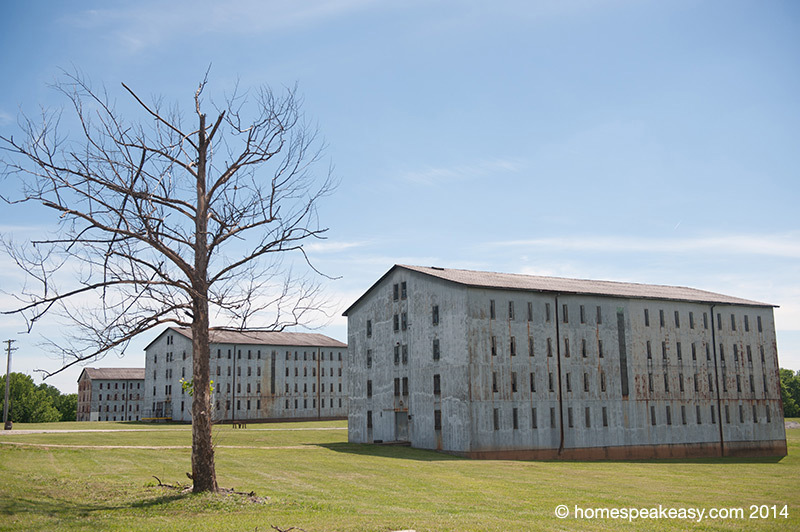 Occupying a strange middle ground between craft microdistillery and large producer, Willett places their emphasis on very specific small-scale methods that can only really be this closely controlled when making a more manageable amount of product. 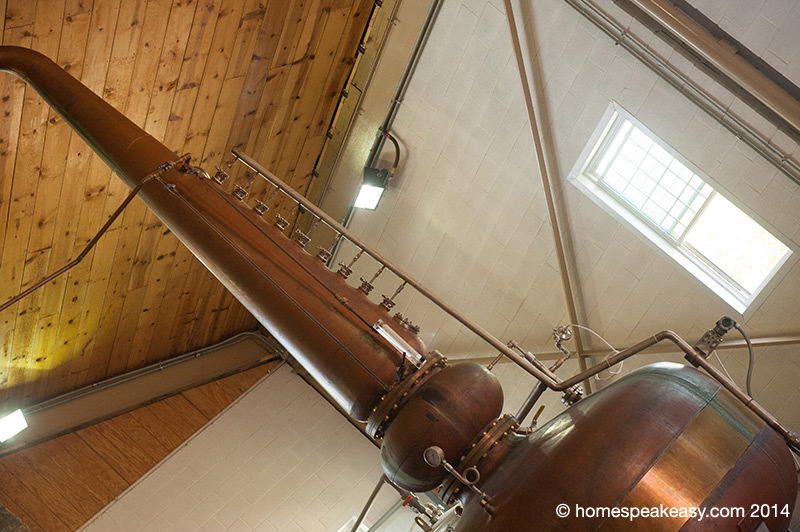 The first step in the distillation process is to essentially make some beer. 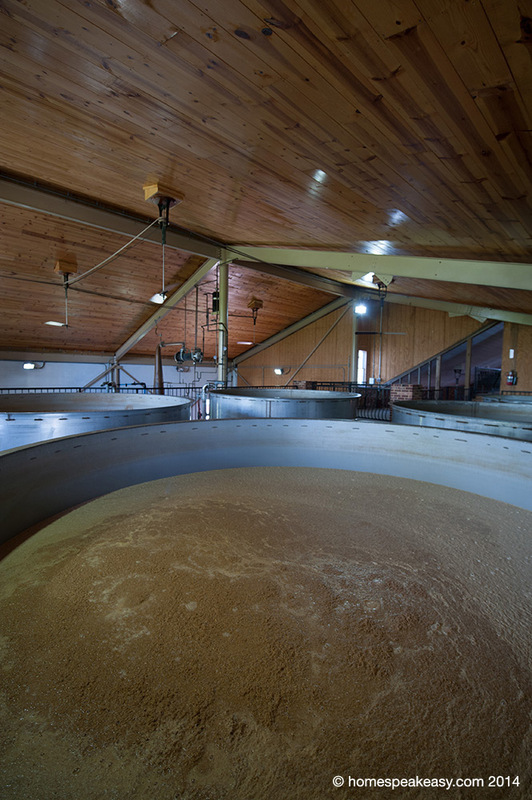 The large fermenter tanks combine yeast and water with the grain mashbill, and spend several days fermenting into a mash, which is then fed into the still. 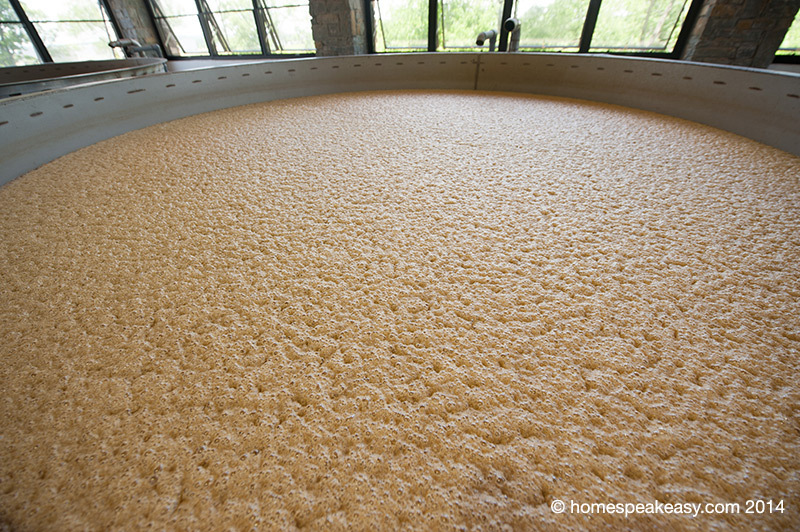 Once it is cooked down, only 10% of the original liquid will remain, which is how something starting as a beer can be concentrated into a much higher-proof distillate. 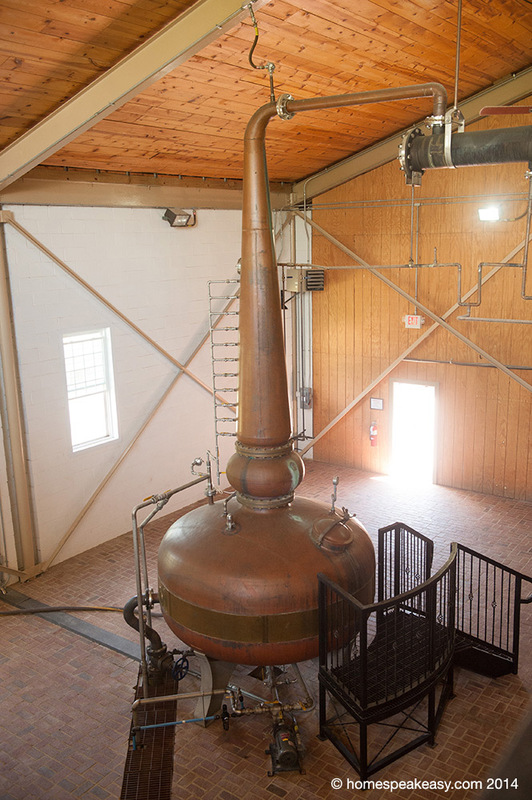 Willett runs a large copper pot still, similar to the ones used to make Irish whiskey and Scotch, rather than the large column stills used by the vast majority of american whiskey producers. 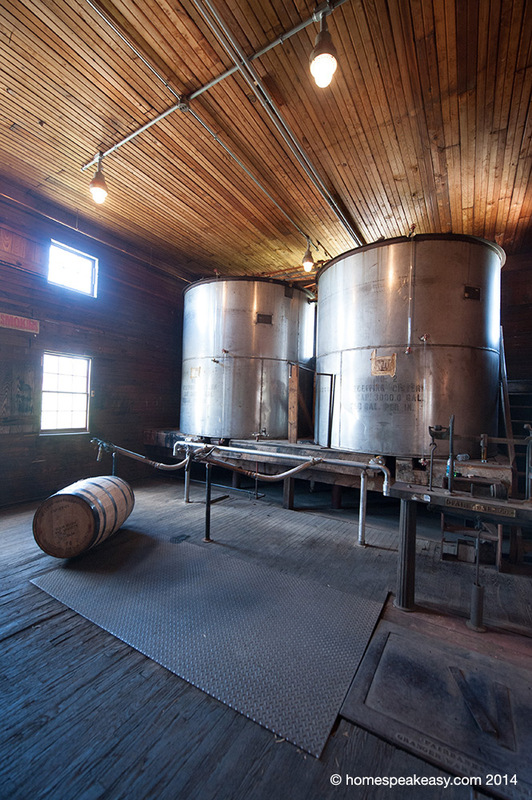 They cook 5 unique bourbon mashbills and 2 rye mashbills that are then blended together in specific recipes depending on the whiskey they are making, always barreled with a #4 char. 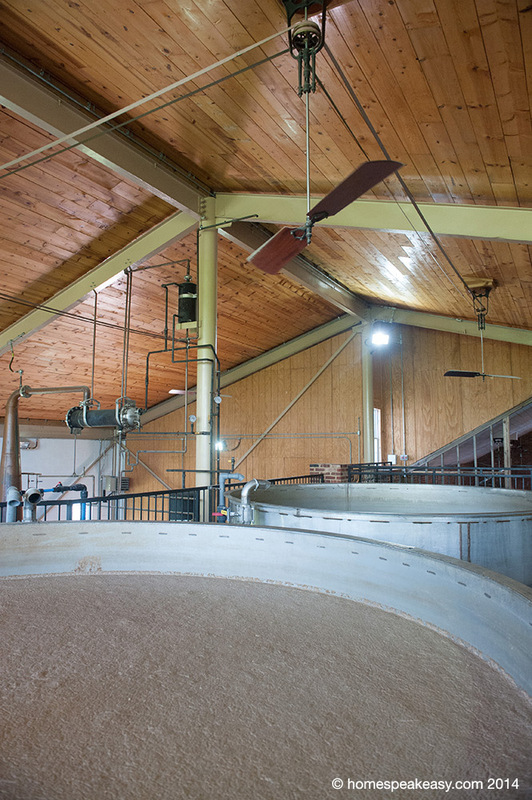 Rowan’s Creek and Noah’s Mill are both blends of the same 3 mashbills, but one is aged at the cooler lower floor of the rickhouse, while the other is aged in the heat, just below the roof. Speaking of the ricks, they have 8 of them, each capable of holding 6,000 barrels. 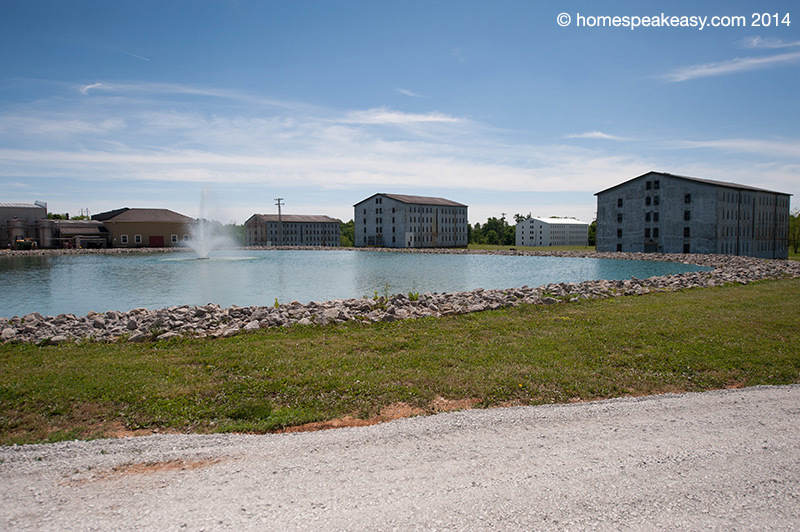 By comparison, Heaven hill has about 50 rickhouses, each containing somewhere around 30,000, so you could just about fit every barrel Willett has into just one of Heaven Hill’s buildings. 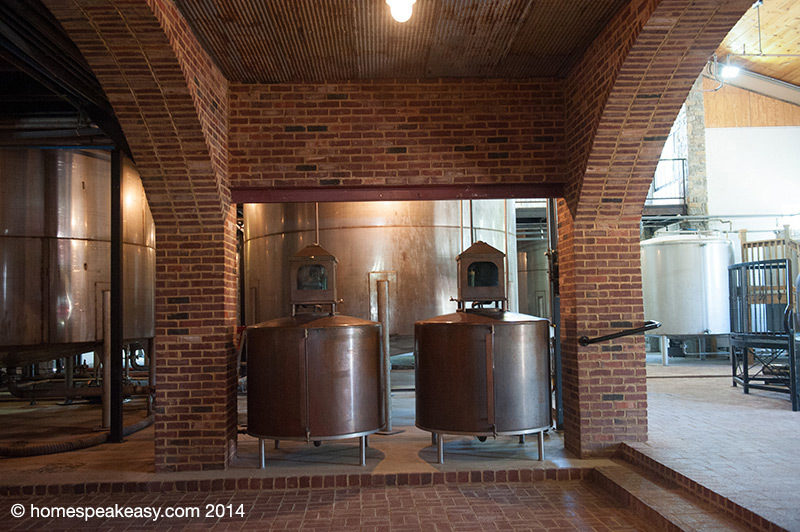 Another interesting part of Willett’s production is the handling of the raw distillate. The best raw whiskey is right in the middle at a very specific temperature, so the first white dog to come off the still (the head) at a lower temperature is downright bad. Same can be said for the last (or the tail) when the still becomes too hot. The really large-volume producers never really turn off the stills, so they just dump the heads and tails back in for a second try. Since Willett is cooking one batch at a time, they discard the heads and tails and only keep the good center distillate (or the heart). 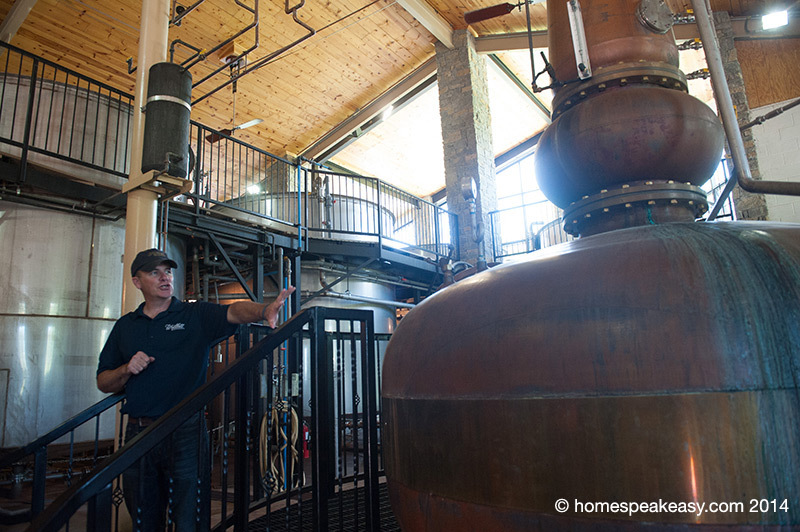 The distiller pumps the whiskey through the tanks above and tastes until he’s happy with it, then switches it over to the second, or the Heart Tank. He’ll continue to taste, and when it drops below his standards, he switches it back to the first. 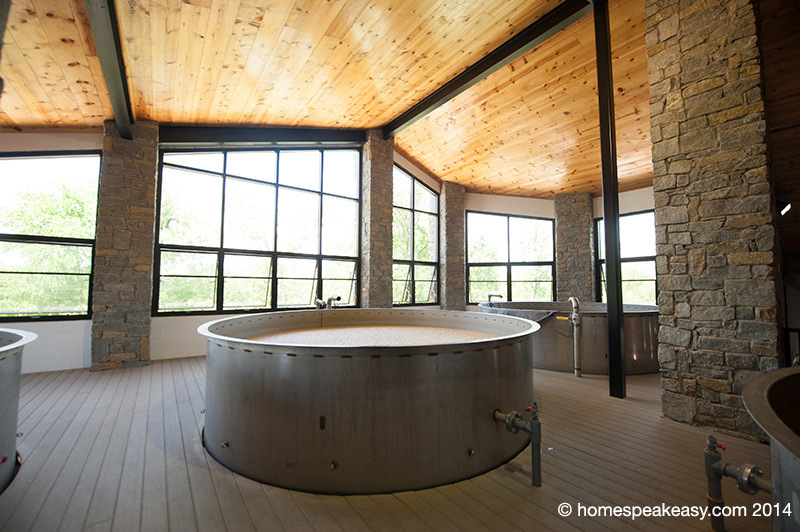 The heart tank is then pumped over to an adjacent room for barreling. 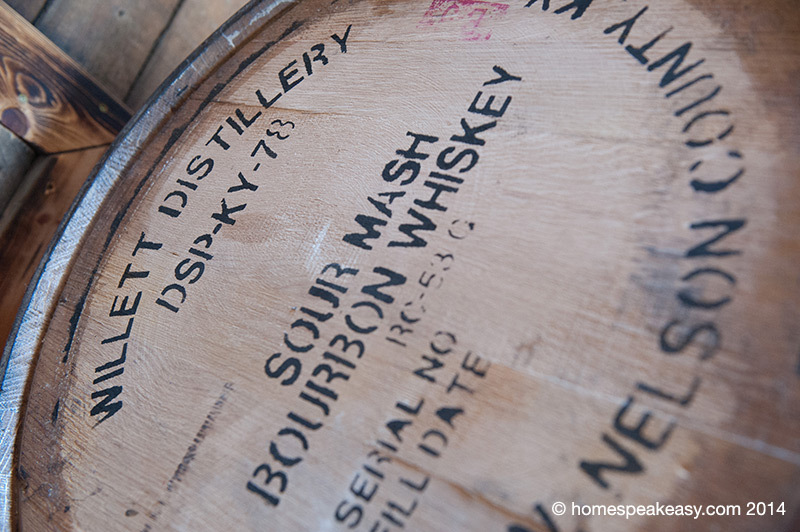 Once full, a poplar bung is hammered into the hole (the soft wood will swell and keep a tighter seal in the white oak), and the barrel is rolled down a ramp to the rickhouse, or a waiting truck, should that rick be full. There, it will sit for however many years, undisturbed, until it’s time to be bottled. 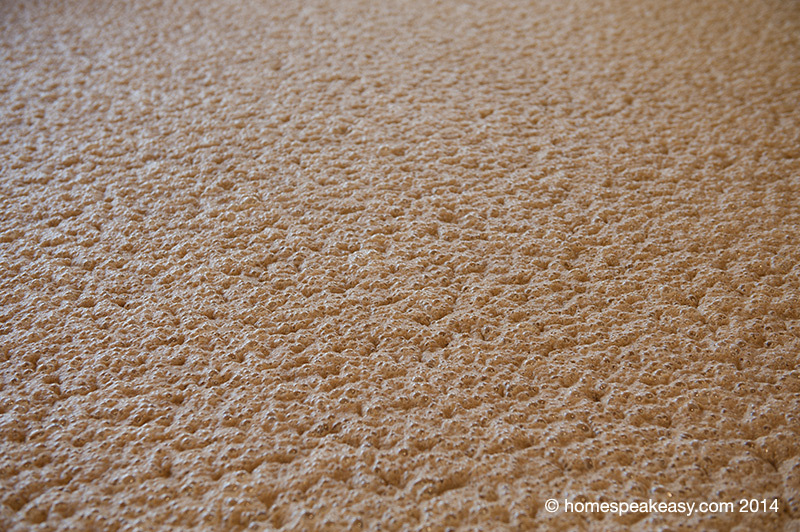 Finally, it’s ready to drink, which we most certainly did. 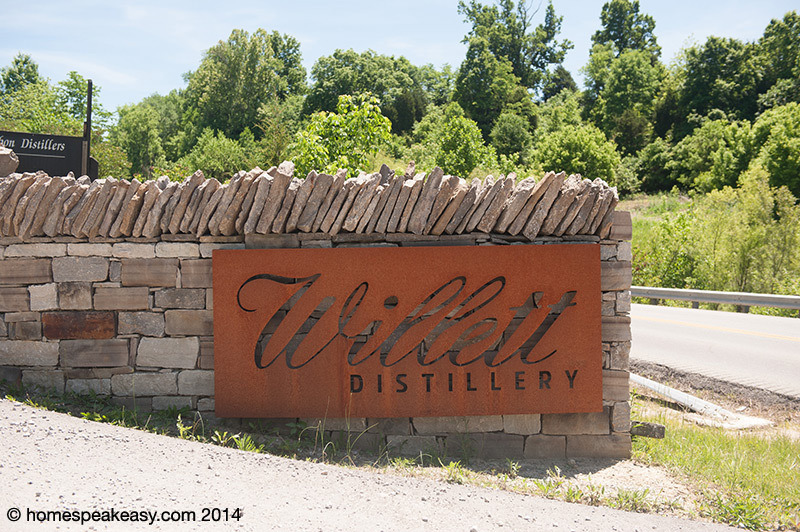 The nice thing (for me, at least) about Willett is that they don’t make any low-quality, bargain whiskey, just Willett Pot Still, Rowan’s Creek, Noah’s Mill, and the Family Estate Rye & Bourbon (bottled unblended, unfiltered, and at barrel proof). I’m a little partial already, but the spectrum of taste of the Family Estates are pretty amazing. They can range from a 4 year all the way up to a 23, all bottled with the same label. One of the highlights of the trip was getting to sample the 23 year Family Estate Rye. Lots of great burn, but not nearly as much as you’d expect on something north of 130 proof. 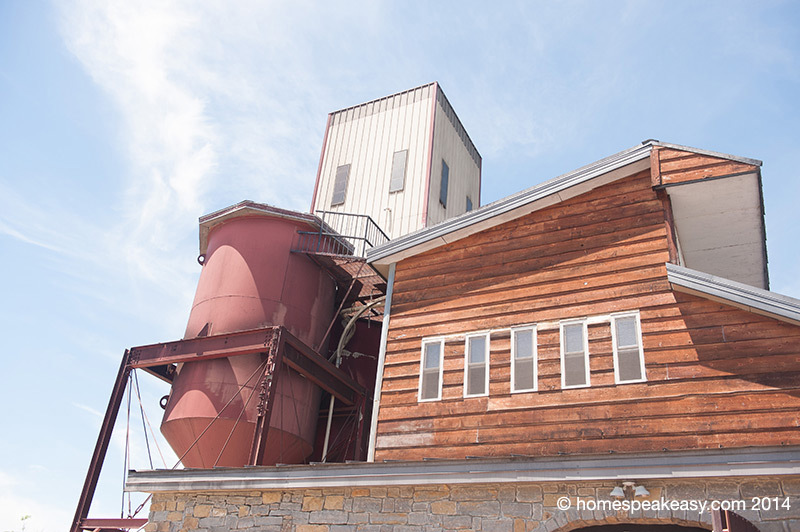 Overall, Willett is a great distillery to check out if you’re in the area because you can see the whole self-contained process and really get a feel for how your whiskey is made. 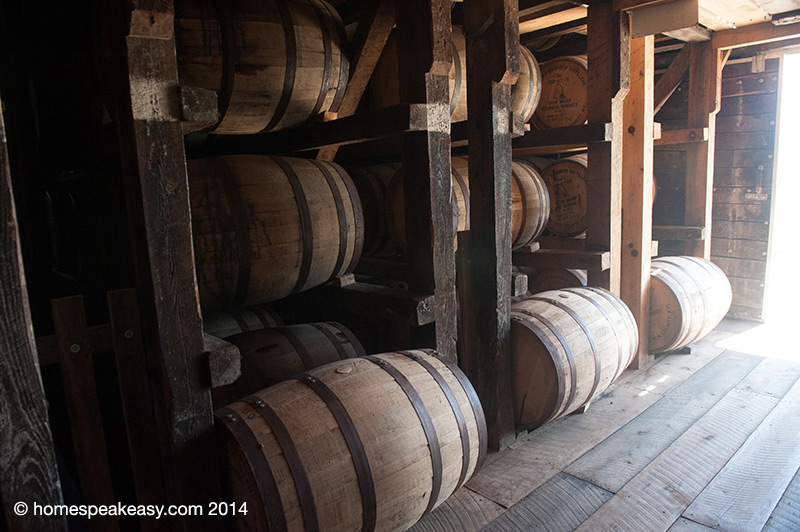 A lot of the other distilleries produce off-site, or purchase the white dog from another distiller. 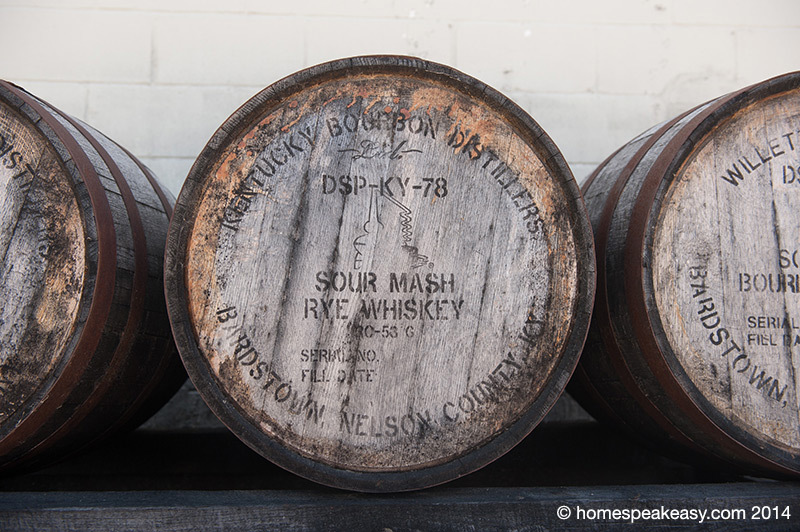 It’s rare to be able to actually follow the pipes and see the exact path from grain to bottle. 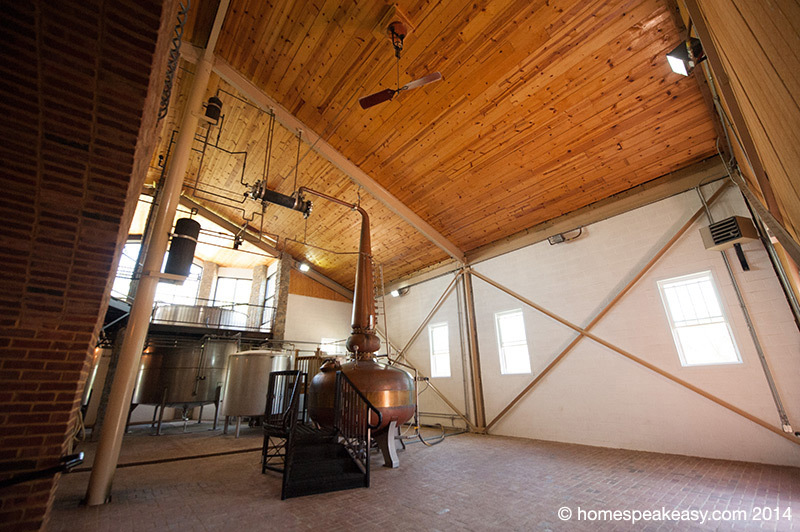 Not to mention that you can get a tour from the actual distiller and not a tour guide.